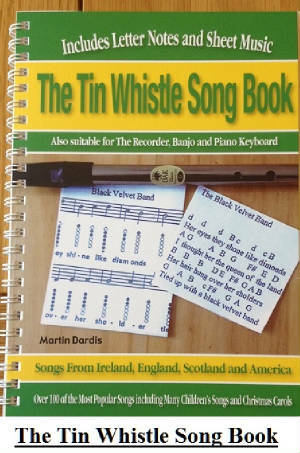 The Dying Rebel Tin Whistle Notes. Some people like the simple ''Letter Notes'' rather than the sheet music. The verses have the same melody as the chorus, it's just repeats itself over and over. 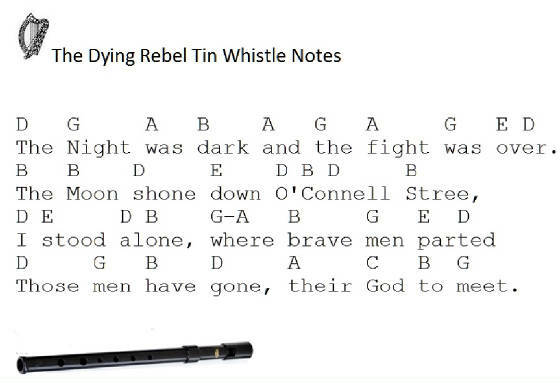 I'm using a D whistle for most of these videos even though I'm actually playing some in the key of G.
Here Are The Letter Notes For The dying rebel As Played By Jean-Baptiste Meynard in his youtube video below.